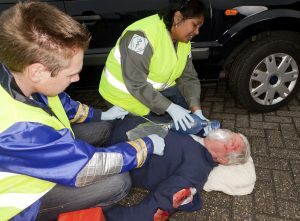 A head on collision is one of the more devastating and frightening auto accidents that can occur. Head on car accidents in Boston can occur on a highway, ramp, city street or alley. Many motorists have few precious seconds to take evasive action when confronted with a car or heavier motor vehicle bearing down on them. Although these are among the least common types of motor vehicle accidents, head on collisions account for about 10% of all traffic fatalities – and they can be the most damaging. Driver error or negligence often play a large role in these types of accidents with drivers who fall asleep, are drunk or who are texting not even realizing that their car is no longer in its own lane. Sometimes municipalities and state governments may be responsible for not ensuring the safety of motorists. Confused drivers may enter a ramp or street not intended for their direction of travel because of the lack of traffic signs or signs that are poorly maintained and are difficult to see, or from poor highway design that adds to the confusion. Further, equipment failure can cause a driver to lose control if the brakes give out or the steering mechanism leaves the motorist with no way to steer the vehicle. Retaining an experienced car accident lawyer is essential in these cases for determining the responsible parties and for following strict notice and filing requirements regarding your injury claim. If a state or political subdivision is possibly liable, you have a limited time to provide written notice to the appropriate entity to ensure your claim is properly filed or you could be forever barred from collecting considerable compensation for substantial injuries. A head on collision can trigger deployment of your frontal air bag but this is no guarantee you will escape serious injury or death. Some air bags do not deploy properly and though its deployment in a high speed collision could save your life, you could still suffer a catastrophic injury. Many people are injured by the air bags themselves. Wearing a seat belt is critical, always. If you or a loved one has suffered any of these injuries or others, you will want a law firm that is sensitive to your concerns and needs. Dealing with insurance adjusters, liability and insurance coverage issues, notice and filing requirements, medical bills, receiving the proper medical treatment and dealing with a sudden lack of income are all matters that a dedicated law firm can handle for accident victims. If a child, parent or spouse suffered a fatal injury, then a wrongful death claim can be filed by an immediate family member through the executor or administrator of the decedent’s estate and collect funeral and burial expenses and compensation for the loss of the decedent’s support, love, and affection. Pain and suffering can be awarded in these claims if the decedent was conscious for a time before dying from fatal injuries. 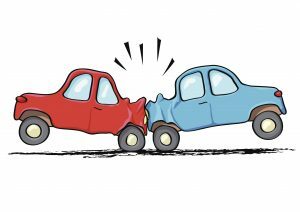 Head on collisions, though appearing to be straightforward, can often present difficult issues regarding liability, the responsibility of certain parties including yourself as the claimant, and proving damages. Negotiating a reasonable settlement can take considerable acumen and you will need professional representation to present a comprehensive settlement package that supports all your claimed damages and demand for settlement. The Boston car accident lawyers at Burns & Jain have been representing the rights of motor vehicle and other accident victims for over 25 years and has achieved considerable compensation to the satisfaction of many of his accident clients. Contact an experienced Boston car accident lawyer today by calling Neil Burns and Roshan Jain at (617) 227-7423 for a free and confidential assessment of your accident claim.